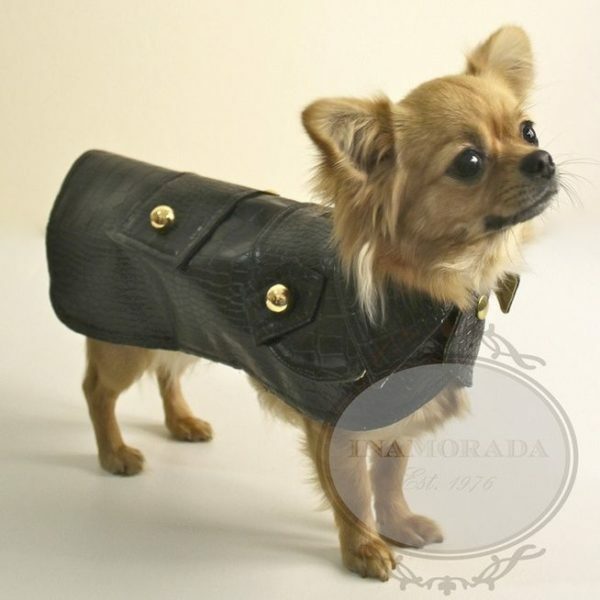 Inamorada brings the excellence of Italian tailoring into the pets world. Gorgeous, water resistant, faux leather coat. Lined with beautiful damask fabric. Golden jewel buttons, adjustable belt with press buttons.